Telstra services hit the wall again yesterday, despite a $250 million pledge for greater network resilience. Telstra services hit the wall again yesterday, with a business services outage leaving Jetstar passengers grounded amidst a host of Victoria-based chaos. Despite being restored at 8:30pm on Thursday, June 30, the outage struck at the heart of the telco’s corporate portfolio of customers chiefly in Victoria but also NSW, impacting key customers such as Myer, the National Australia Bank, Officeworks, The Good Guys, Medibank, Monash University, Simply Energy and ME Bank among others. Representing the seventh outage of the year for the embattled telco, the blackout triggered long delays at Melbourne airport from 2pm until 4:30pm, with Jetstar airline terminals unable to check-in passengers. As a result the airline was checking in customers manually, prompting the delay of at least five domestic flights. "The system is now back online and we're working to resume normal operations at Melbourne Airport," a Jetstar spokesperson confirmed yesterday. 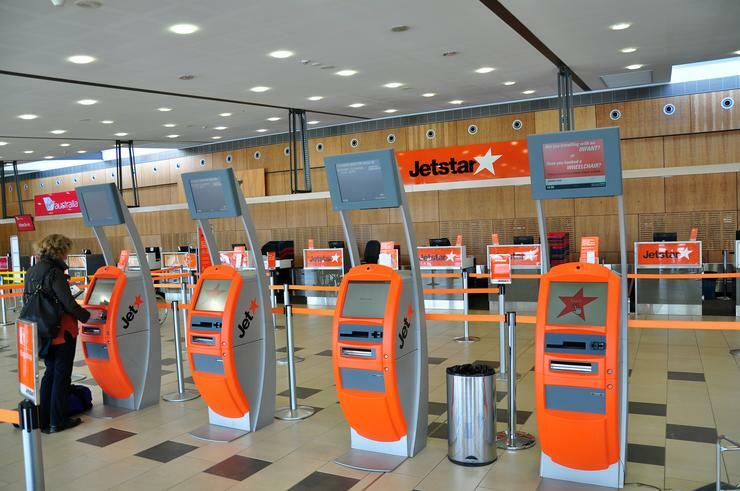 In addition to Jetstar, outages also impacted the National Australia Bank and Myer, crippling customer service and online payment systems. With customers taking to social media to vent frustrations, a Telstra spokesperson confirmed that the network issue “was restored around 8.30pm". The company’s most recent outage comes at an embarrassing time for the telco, after revealing plans to spend $250 million on network improvements less than 24 hours previously. As reported by sister publication Computerworld Australia, the pledge from Telstra CEO Andrew Penn follows a string of high-profile outages of both mobile and fixed services. After revealing results of a review into its mobile network in May, Penn said Telstra remains “very advanced” in implementing the recommendations from that review, while also completing “an end-to-end” review of the company’s core network and IT systems, pinpointing sources of potential risk. “As a result of this work we will be investing $250 million from our existing capital program, within our 15 per cent capex to sales ratio, over the next 6 to 12 months to provide a higher degree of network resilience and improved network performance,” Penn outlined.